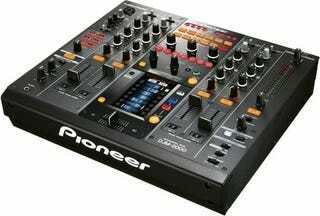 Pioneer is known to make digital mixers that leave us drooling and wishing for some DJ skills. First they gave us the CDJ-2000 with its beautiful LCD screen, and now they've given us the DJM-2000, a multitouch screen-having per-frequency-mixing beauty. Sure, there have been multitouch DJ rigs before, but the DJM-2000 is not only among the first to actually be for sale, but also comes from a company known for quality gear.